Yeah, the title is a bit rude for all you horse lovers but this is a great resource book if you're getting a horse, or just want to learn more about them! So much info! Things like how to care for your horse, breeds, colors, riding, and recognizing common aliments horses have, plus more! It's so complete with the info you'll need. 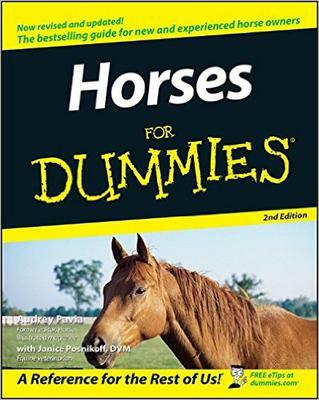 I own it, and if you have a question about horses, just look in the book, and there it is!